14th-18th November 2016 is Anti-Bullying Week, an annual event that shines a spotlight on bullying and encourages all children, teachers and parents to take action against bullying throughout the year. We’d like to help spread the message by sharing some information on bullying and the positive change that working with horses can bring to victims. Bullying is a very serious problem, not just for schoolchildren but also for many young people and adults as well. It can take many forms, such as teasing, rumour spreading, making threats, excluding people from groups, taking someone’s belongings and even violent assaults. Victims of bullying are often targeted because of their appearance, sexual orientation, race, religion, a disability or for being quiet, shy or enjoying their studies, however a bully may pick on someone for no reason at all. Bullying can have a devastating effect on someone’s confidence, happiness and self-worth and can lead to depression, anxiety, self-harm and suicide. At Racehorse Rescue Centre, we work closely with victims to help them regain their confidence and stand up to bullying. Working with and caring for horses can give someone a whole new set of tools to deal with a bully, including improved confidence, self-esteem and mental and physical wellness. Also, horses are remarkably intuitive, and can read human moods and intentions very accurately through body language, energy and emotion. Working with them can drastically improve a person’s communication skills, which can help them to make new friends and join in with a group when they feel isolated or lonely. It is often the case that a bully picks on others because they have been bullied themselves, so they direct their aggression onto their victim to help them cope. Horse riding can help to combat the bully-victim cycle by providing a positive and healthy way in which to vent frustration and anger. If you are being bullied and suffering in silence, we urge you to tell someone that can help you, such as a parent, teacher or your employer. We also invite you to get involved in our free sessions that we run at the weekends and during the school holidays. 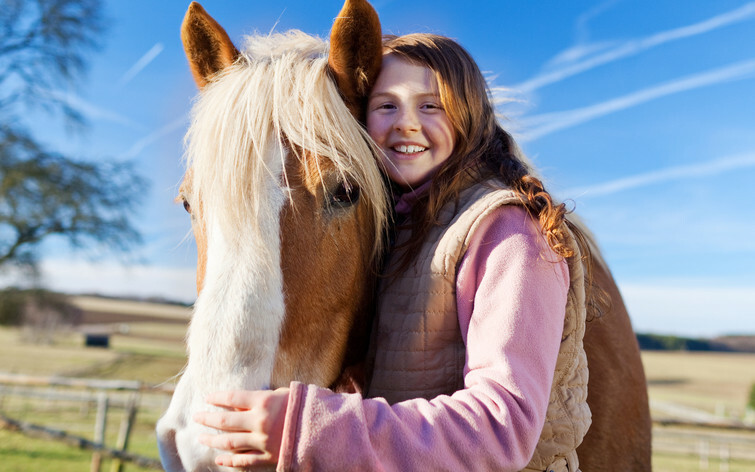 The Racehorse Rescue Centre is a small country retreat that connects you with nature, helps you to focus and meet new friends, whether it be horses, dogs, chickens or people! To find out more please get in touch by calling: 07766 027162 or fill in an online contact form.